Munir Rahool shares this post with us on the software update to 1.1.2.2 for the Nokia X. Cheers Munir! 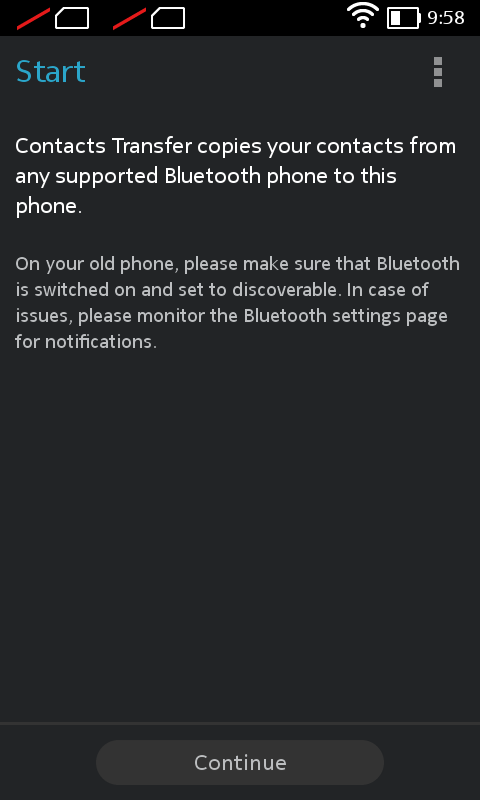 My morning started with an interesting notice for an update available for Nokia X. 41mb long update said to improve overall performance and added a couple of new apps in the device: OneDrive and Contact Transfer. Many users are finding their Nokia X much smoother after the software update and I also noticed auto updates of email which wasn’t there before and browser from Nokia seems to work slightly better. Contact Transfer is small utility to transfer contacts from Bluetooth enabled phone to yours. Still no sign to take care of multitasking any better, this much needed update should be among others in next update.